There Are Progressive Views of Greek America. Let Them Be Heard! Yiorgos Anagnostou’s recent article “Whose Greek America?” castigates the endorsement of Trump’s victory by the National Herald – the English language newspaper produced by the publisher of the Εθνικός Κήρυξ. It also takes to task the newspaper’s assumption that somehow all Greek Americans stand to benefit from the President-elect’s divisive policies. Anagnostou exposes the newspaper’s questionable assumptions that Trump represents the interests of the white working class. He also ridicules the idea that the prominent position of conservative Republican Reince Priebus – whose mother is Greek – in Trump’s administration, is somehow going to be of benefit to all Greek Americans. While I agree with everything Anagnostou writes, I am much less worried about what the National Herald writes and how influential and representative it is of the Greek American community. I myself was surprised that the newspaper ended up endorsing Hillary Clinton for president, even though it did so very grudgingly. Up to the eve of the election it seemed to me that the National Herald was becoming more and more supportive of Donald Trump. And by the same token I was not shocked when after the election the newspaper performed a neat volte face and hastened to hail Trump’s victory – misrepresenting its meaning, as Anagnostou demonstrates so persuasively. Whether we like it or not, a large, maybe the largest segment of the one million plus persons of «Greek heritage» in the United States are in fact conservatives and vote for the Republican party. And most of them probably voted for Trump. And what the National Herald is doing is channeling those views, as it has done for the past seven decades during which it has held varying positions on the right side of the political spectrum. But during most of the post-WWII era, there used to be a vigorous exchange of views through our ethnic press, proof that there have always been differing visions of Greek America’s role in American (and Greek) society. When I arrived in the United States in the 1980s there were two competing Greek language daily newspapers, the pro-New Democracy Εθνικός Κήρυξ and the pro-PASOK Πρωϊνή both based in Astoria, New York City’s “Greektown.” And in terms of English language publications, the GreekAmerican questioned the idea of a homogeneous and ipso facto conservative and nationalistic Greek American community. It was a weekly English language newspaper, the “sister” publication of the Πρωϊνή. It highlighted Greek America’s involvement in the labor movement, the women’s movement, and the gay rights movement. And it treated Andreas Papandreou’s PASOK government “objectively,” that is to say it praised what it saw as progressive in its policies but it also criticized that administration’s clientelist and corrupt practices. In other words, what Anagnostou is calling for, a different, progressive concept of Greek America, has always existed and has been projected through several publications. But unfortunately, Πρωϊνή along with The Greek American closed in October of 2001 and since then there have been other serious casualties in the sphere of diaspora and Greek American media outlets. Among the “disappeared” are Odyssey Magazine, the Journal of the Hellenic Diaspora and www.greekworks.com. All of them, in different ways, were venues for views that went beyond the narrow definition of Greek America as a super-patriotic and socially conservative, white and straight Greek America. Now, of course, the National Herald is the only major Greek American English publication with any significant circulation and influence. And this makes its slide from its usual center-right positions (for example, among Greek political figures it openly favors Kyriakos Mitsotakis) over to celebrating Trump’s victory, all the more worrisome. Recently the newspaper has carried differing views of Greek America, by authors such as Anagnostou and myself. Hopefully, that practice will continue but the editorial policy and the orientation of most articles will probably remain the same. Therefore, the National Herald’s monopoly must be challenged before it becomes a form of hegemony. This would not be that difficult, and in fact the National Herald might welcome the challenge. What we are lacking are not progressive visions of Greek America, along the lines of what Anagnostou has so eloquently described. What we are lacking at present are the in print or on line vehicles through which we can debate those concepts that will move us away from ethno-religious parochialism in search for an America with greater equality and tolerance of the other. As Trump’s inauguration date approaches fast, it is all the more urgent we find ways to initiate a public conversation on what we understand as a Greek America with a civic and democratic conscience. 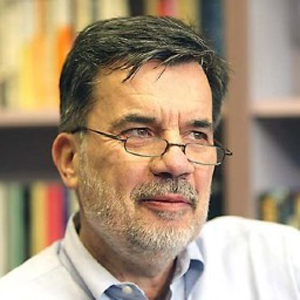 Alexander Kitroeff teaches at Haverford College and his research is focused on the history of the Greek diaspora and especially the Greeks in America. He is writing a book on the history of the Greek Orthodox Archdiocese of America. What we are lacking are not progressive visions of Greek America, along the lines of what Anagnostou has so eloquently described. What we are lacking at present are the in print or on line vehicles through which we can debate those concepts that will move us away from ethno-religious parochialism in search for an America with greater equality and tolerance of the other. As Trump’s inauguration date approaches fast, it is all the more urgent we find ways to initiate a public conversation on what we understand as a Greek America with a civic and democratic conscience.